Easter Quotation Gift Card. 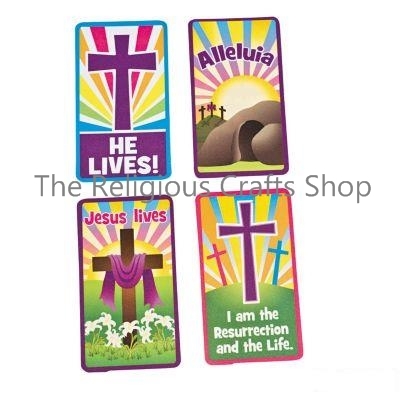 These wallet sized cards are great little gifts at Easter. Each card has an iconic Biblical image on one side and a Bible quotation on the other. (Quotes come from Psalm 150:6, John 3:24, John 4:15 or John 11:25). Cards are made of colourful plastic and measure 8.5cm by 5cm.